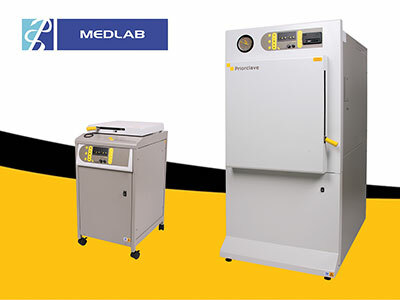 Featured sterilisers on the Priorclave stand Z1.A30 at Medlab, Dubai 4-7 February 2019, include a QCS EH100 front loading autoclave and the compact C60 top loading steriliser. 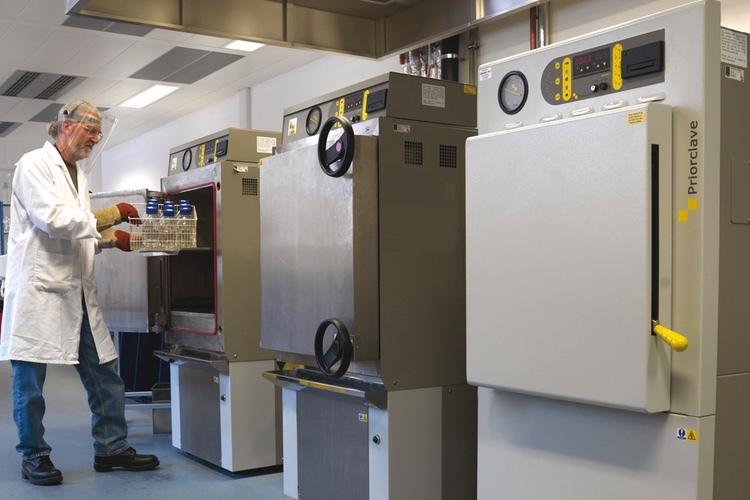 High-performing sterilisation, operational reliability and low energy usage make these autoclaves eminently suited to use in research establishments as well as general laboratories. 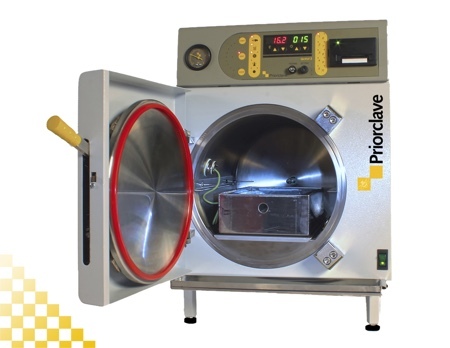 The Priorclave EH100 is a 100 litre laboratory autoclave that has a chamber diameter larger than most, bringing increased versatility and paving the way for a more efficient lab. Both small and abnormally tall items can be sterilised in the same process. 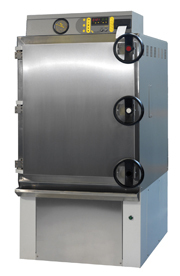 This benefit can often save the lab manager from investing in larger, heavier and more costly rectangular autoclaves. 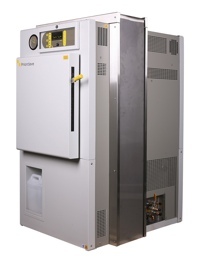 The top-loading Compact C60 autoclav, has a large load capacity without comprising on the efficiency of the sterilising performance. Typically the C60 can accommodate ten one-litre or 16 500 ml bottles, alternatively, six one-litre Erlenmeyer flasks. 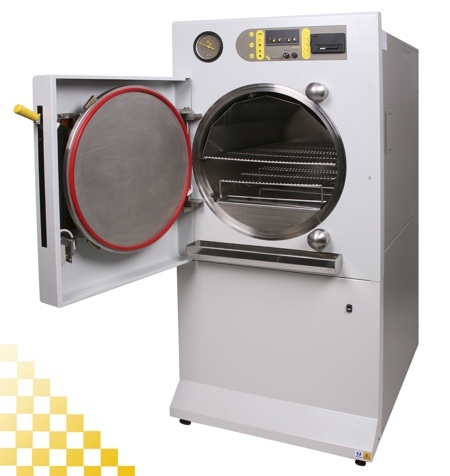 This highlights the overall versatility of the top-loading autoclave that requires just 472 x 620 mm of floor space. 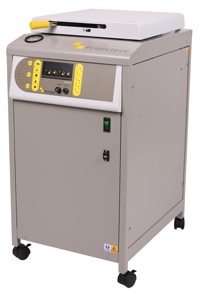 These research autoclaves and general lab machines are fitted with TACTROL 3, a new controller with a clear user interface LCD display and easier function settings. A quick-view menu shows all the functions that have been set on any select program. 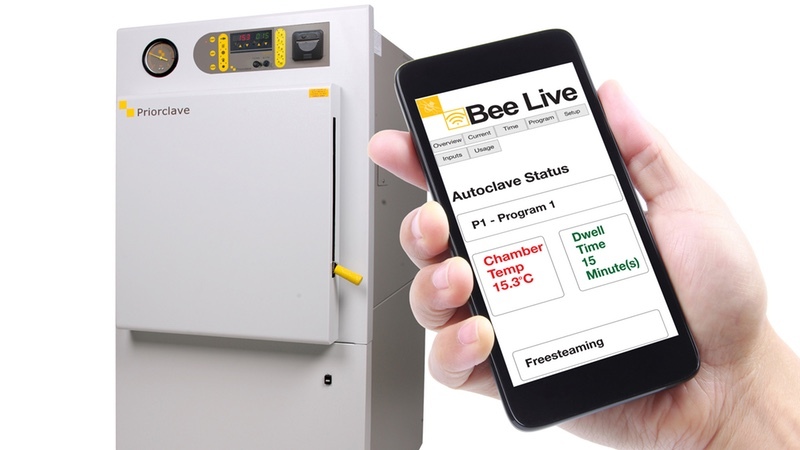 Also being highlighted is BEE LIVE, a system that brings Wi-Fi connectivity to the entire range of Priorclave laboratory autoclaves and research sterilisers. 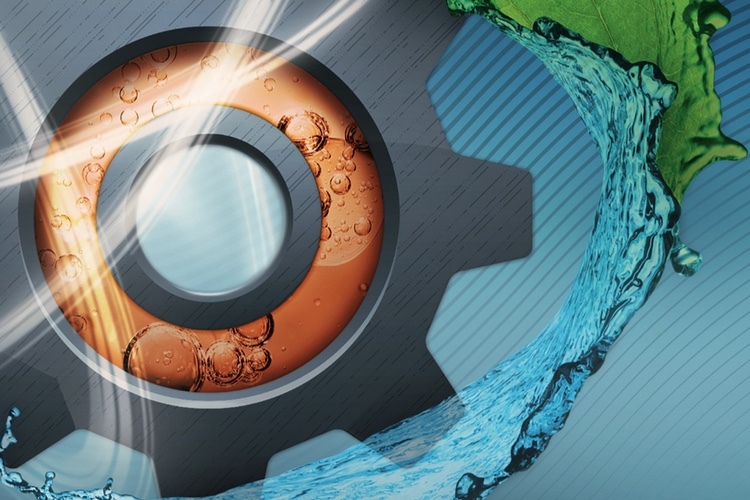 It provides immediate connectivity to a variety of Wi-Fi enabled devices such as smartphones, tablets, iPads and laptops, enabling lab staff to remotely monitor sterilising parameters. 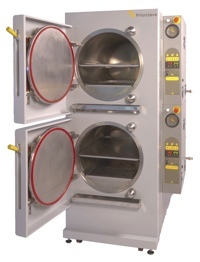 In addition to showcasing the front loading autoclave and the Compact C60 top-loading autoclave on stand Z1. 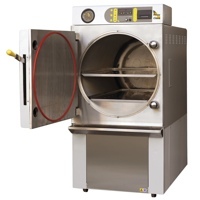 A30 the QCS EH100, Priorclave will feature its full research and laboratory autoclave range, including the benchtop, top and front loading free-standing, double-door and stackable autoclaves. 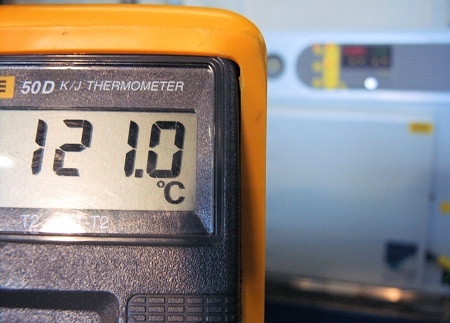 Lab autoclave validation: is your autoclave really sterilising?